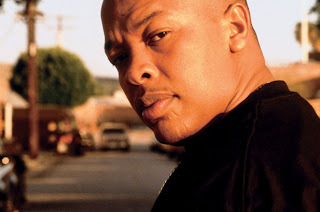 On February 11th, Dr. Dre brought suit against WIDEawake Death Row Records and its parent companies alleging that Death Row failed to pay him royalties on his album “The Chronic” since 1996 and that the label issued "The Chronic Re-Lit" and a greatest hits collection without his permission or the proper rights. The lawsuit seeks unspecified damages of more than $75,000 for several claims, including breach of contract, false advertising, trademark infringement and misappropriation of publicity. When discussing the suit in Los Angeles Federal Court Dre’s lawyer Howard King told a judge: "When it came to paying artist royalties and honoring limits on Dr. Dre recordings that could be released, the 'new' Death Row Records, to quote our client, 'forgot about Dre.'" The International Federation for the Phonographic Industry (IFPI) reports in its 2010 Digital Music Report (pdf) that despite hundreds of legit online music offerings (Pandora, Live365 etc.) and higher revenues in 2009, the music industry remains damaged by peer-to-peer file sharing and other forms of online infringement. Conflicting case law internationally, reports the IFPI, is further muddying the waters. The IFPI has argued for several years that internet service providers (ISPs) "should take more responsibility for policing their networks through a 'graduated response' (or ‘three-strikes and you’re out’) mechanism that includes notices and warning letters to suspected infringers followed by internet access suspension if the first two stages are ineffective." Read more at IP-Watch.org. My colleague Bridget Crawford recently blogged on Feminist Law Professors about a special issue of Women and Language focused on critical analyses of how hip-hop speaks about love. Check out her post at http://feministlawprofessors.com/?p=14989. 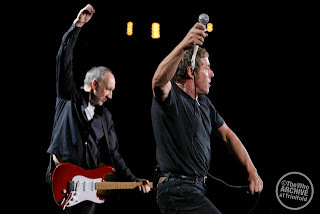 Super Bowl halftime promised to be another old timers affair as "The Who" has been slated by the National Football League to entertain the masses this year. I wonder (along with Scoop Jackson at ESPN) where the flavor is for the halftime show? In a league dominated by athletes of the hip hop generation, how is it that since the infamous Janet Jackson wardrobe malfunction, that we have only been treated to the legends of Rock and Roll at halftime, including the Rolling Stones, Bruce Springsteen, Tom Petty and Paul McCartney? While I understand that Commissioner Roger Goodell is interested in protecting the league from halftime scandal, I believe that the legends of hip hop could perform scandal free just as readily as the Stones, Springsteen, Petty and McCartney. So, where is Run DMC? Queen Latifah? What about Ice Cube, KRS One or Dr. Dre (Prince did get the gig in 2007)? 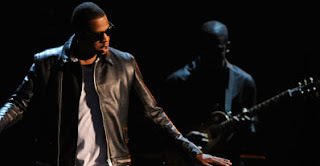 Further, I am confident that the NFL could comfortably inquire into th e availability of Jay-Z, Common, Lauryn Hill or Snoop Dogg and avoid the embarrassment of a wardrobe malfunction moment. After all, the Super Bowl is the most-watched event in the world. Why prop up the careers of aging white artists and leave the true soul of global culture on the sidelines?